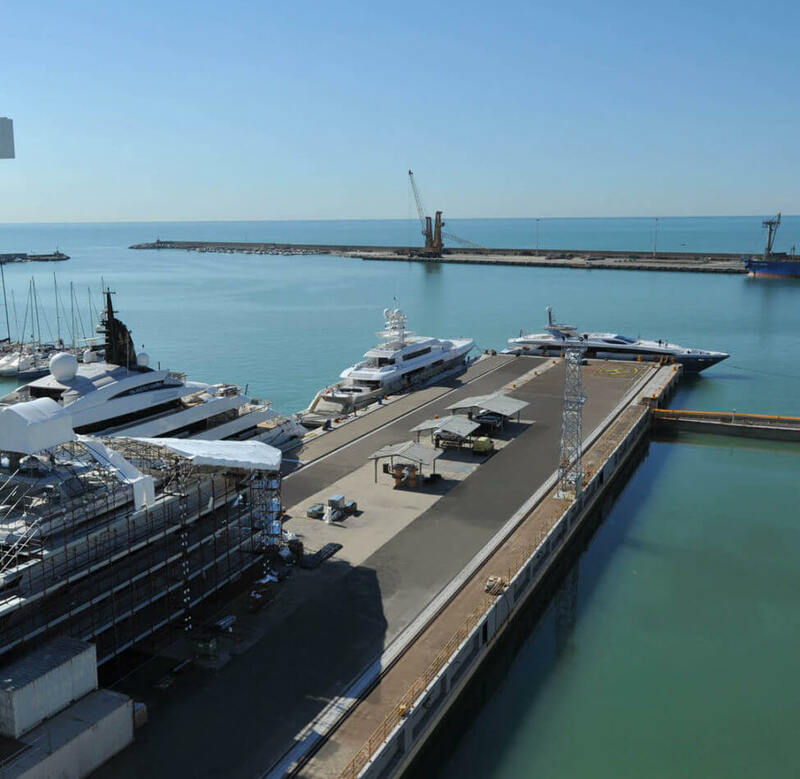 With 100,000 square meters of operative space, 11 warehouses, 200 meters of private dry docks (the vastest in the Mediterranean and the only able to guest even 200 meter yachts), 2000 meters of docks, a floating barge for yachts up to 90 meters with a maximum capacity of 2,200 tons and over 30,000 square meters reserved for refitting, since 1942 NCA Refit represents an excellence for refitting operations and the repairing of superyachts, megayachts, and sailing yachts. A collection of exclusive on-land services are also reserved for crew members. 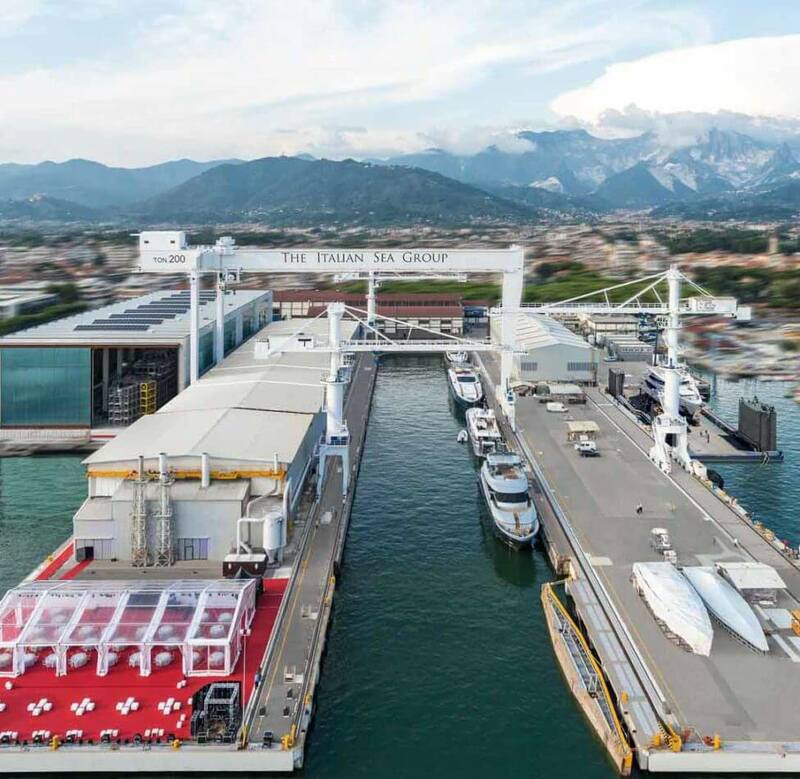 NCA Refit is strategically embedded in Marina di Carrara’s port and offers its exceptional infrastructures and services to all super-yachts which cross the Mediterranean. Thanks to constant and significant evolution, both customizable and technological, NCA Refit is considered one of the most important high-level and prestigious shipyards. All NCA Refit operations follow a precise company philosophy profoundly distinguished by the realization of the highest quality standards and the cure of every single detail as often repeated by Giovanni Costantino, the Group’s President; “The details of every single passage of the process guarantees efficiency and quality”. 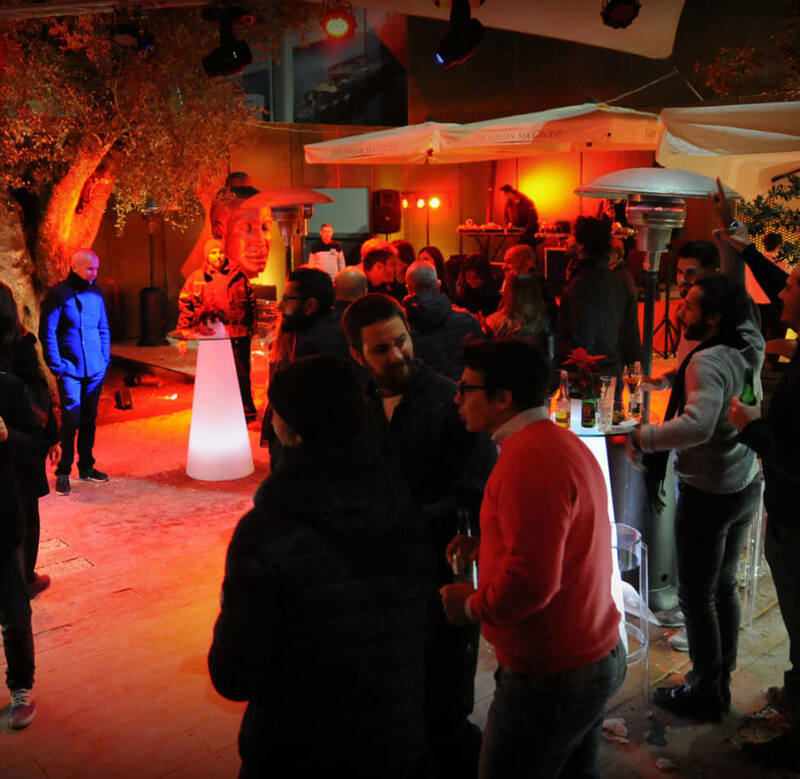 The innovative way of living the workmanship, the events and the hospitality of NCA Refit, enjoying the discovery of peculiarities which express the brand; synonym of precision and attention to details. Since 1942 NCA Refit boasts an absolute specialization in refitting and repairing activities of superyachts, megayachts and sailing yachts combined with a vast gamma of exclusive services reserved to crew members. Determined with excellent ability and expertise acquired in 70 years of history thanks to experience in the construction of 146 vessels with lengths of up to 220 meters and 428 superyachts of up to 75 meters, NCA Refit counts on the constant collaboration of highly qualified Engineering, Architectural and Technical Teams. A team of over 45 professionals including engineers, interior design architects and technicians are ready to perform a complete and detailed check-up of the yacht, supply precise details of operations to carry out and offer the most efficient solutions which respect the highest quality standards and dedicate particular attention to cost control. During the process of workmanship, a personal project manager is available for each unique commission. NCA Refit introduces the Village, an innovative structure dedicated to the free time of Captains and crew members. 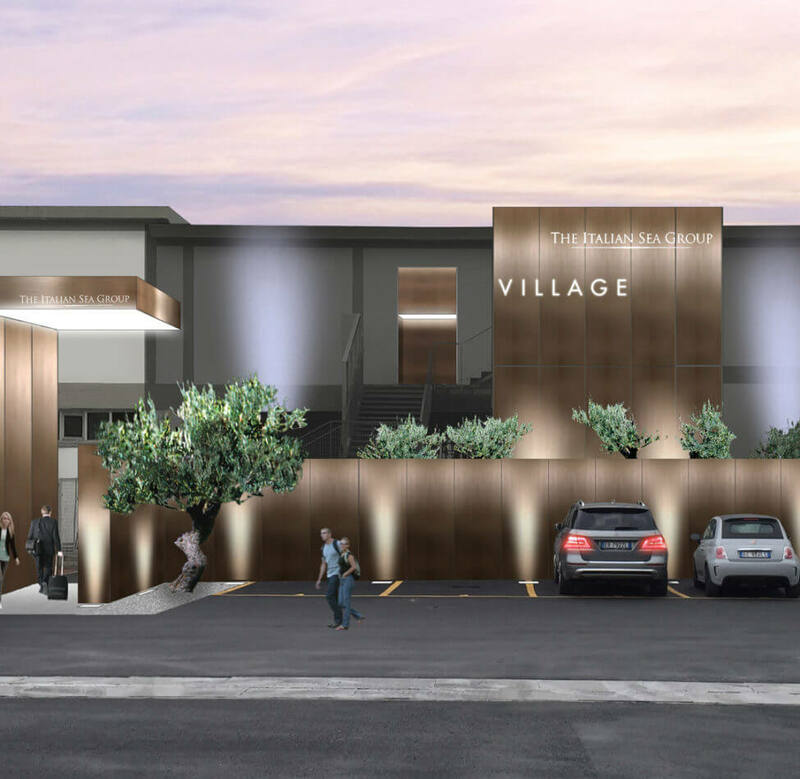 At the Village, it’s possible to sip a drink or have a coffee in company in the elegant lounge, keep in shape in the gym or have a relaxing essential oil massage inside the SPA. The Conciergerie personnel will take care of all the guests’ requests, to make their stay comfortable and even more pleasant thanks to a dedicated information and booking service.